I find stories of people turning their lives around to be quite fascinating and inspiring. Going through challenges makes for better people on the other end and some of the greatest things we know today were created by those who took risks, defied protocols, and pushed through adversity. Here are some fine examples of folks turning lemons into lemonade! 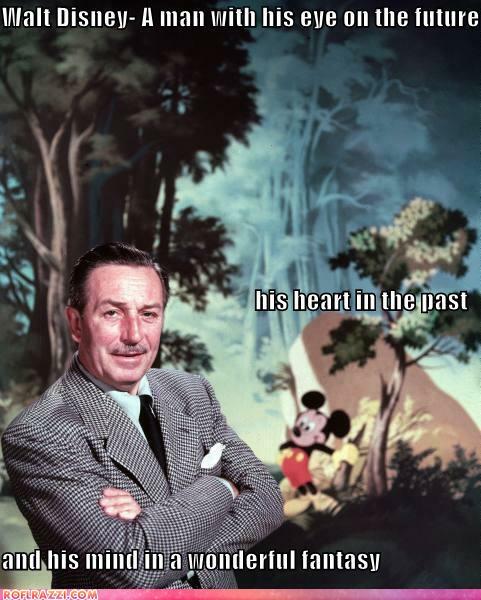 Had Walt Disney been one to easily give up, we wouldn’t have an archive of wonderful characters, shows, movies, theme parks, and experiences. Countless times, it was speculated that Disney would destroy his own company with new ventures. This included the making of Snow White and the Seven Dwarves – dubbed Disney’s Folly by the media – and the construction of Disneyland, which many believed had no chance of success. Disney had so much trouble raising funds for the theme park that he made a deal with the ABC TV network, exchanging programming for help in financing his dream. Everything worked out in the end, thanks to Disney’s risks. The man who eventually brought the world the automobile went through a number of struggles before finally reaching success. Ford came from a farming family and was expected to take over the homestead, although he hated the work and lifestyle. Ford wanted a better life for himself, but simply leaving the farm didn’t guarantee anything. In fact, Ford was forced to file for bankruptcy twice, but he learned from his mistakes and gained a net worth of $188 billion. Ford was also one to look after his employees, offering them an unheard of $5 per day wage, allowing them to buy the vehicles they were making. Before he became the technological icon that we know him as today – creating devices such as the iMac, iPod, iPad, and iPhone – Jobs went through many hardships. Among them, he was an adopted child, struggled in school, dropped out of college course he could barely afford in the first place, and struggled to find his niche in the working world. Even running his own company would not provide smooth sailing. 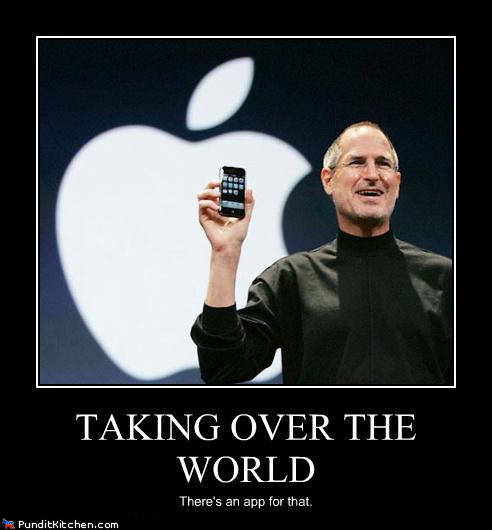 In fact, at one time, he was forced out of Apple, the company he created and would later bring back to prominence. Even in declining health due to cancer, Jobs never gave up hope or his dreams and kept working hard through it all. Fox was only 18 years old when he was forced to have his leg amputated due to cancer. The young man didn’t let that stop him, though, as he not only won national wheelchair basketball championships, but also embarked on a trip across Canada, running to raise money for cancer research. Fox’s Marathon of Hope lasted 143 days and 5,373 km, garnering $1.7 million in donations. Sadly, the journey had to be halted in Thunder Bay, Ontario, when Fox was too sick to continue, cancer returning to the athlete’s body. In honour of his campaign, the Terry Fox Run is done annually around the world and has raised over $650 million. Sticking with Canadian content, the wheelchair-bound Hansen gave the opening address at one of my college convocations and his message really hit home with Mrs. Sip and myself. The crux of it was: “Failure is not having the courage to try.” Hansen is best known for his Man in Motion World Tour, an attempt to raise funds for spinal cord injury research by circumventing the globe in his wheelchair. Hansen had been crippled in an auto wreck at the age of 15, but that didn’t stop the man from raising $26 million over his 26 month journey. The song St. Elmo’s Fire was written for Hansen and his courageous expedition. With a media empire that includes its own magazine, television network, and devoted fan base, one could certainly say that Oprah Winfrey did well for herself. When you learn of the broadcasting mogul’s humble and difficult beginnings, her success is all the more impressive. She had a strained relationship with her teenage mother, who was in and out of her life and was the victim of sexual abuse from family members. After running away from home, Winfrey herself became pregnant at age 14, although the baby died after premature birth. Once Winfrey entered the media world, it was a slow rise to the heights she currently enjoys. This is an interesting drink. 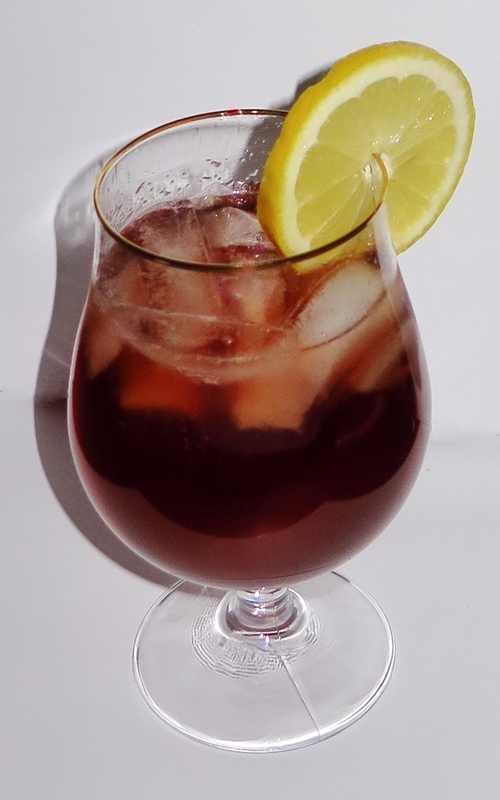 I used my Dark Ginger Ale, but kind of wished I’d used some Ginger Beer, perhaps Crabbie’s orange or raspberry flavour. There’s a lot of different tastes going on here, but the end result works. And if it hadn’t, I would have made lemonade from the lemon experience! This entry was posted in Crazy & Classic Cocktails and tagged apple, Chambord, cocktail, Dale Carnegie, Disneyland, Elbert Hubbard, Flavour Revolution, Floradora, Ford Motors, Gilbey’s Lemon Gin, Ginger Ale, Ginger Beer, Harry Potter, Henry Ford, JK Rowling, lemon, lemon wedge, Lemonade Out of Lemons, Lemons Into Lemonade, lime juice, Man in Motion, Marathon of Hope, Oprah Winfrey, Perseverance, Rick Hansen, Snow White, St. Elmo’s Fire, Steve Jobs, Terry Fox, Walt Disney by Daniel Wilson. Bookmark the permalink.